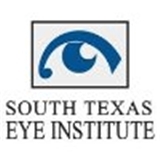 South Texas Eye Institute (San Antonio) - Book Appointment Online! On a reported slow day, I waited approximately 1.5 hours before being seen. Once in the office though, I went from station to station quickly and efficiently. The staff took the time to explain things and Dr. Rubinate was great.